While the quiz shouldn’t be too challenging if you’re up to snuff on your cybersecurity basics, it can still get pretty tricksy. 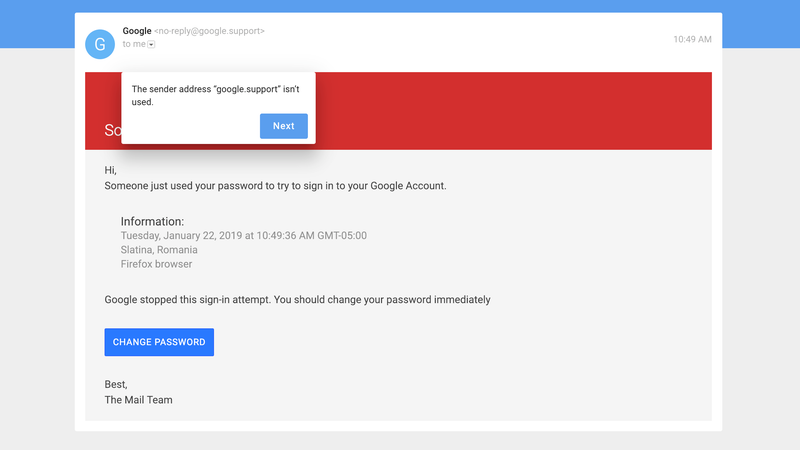 One example is based on a legitimate Google security alert that appeared to be a phishing attack, while another was inspired by the email Russian hackers used to dupe John Podesta to get access to Hillary Clinton’s campaign. Yours truly was also fooled and ended up with a score of only six out of eight correct. Thankfully, the quiz also helps you learn from your mistakes. After each question, you can get tips on what you should look out for, including the smoking gun that should’ve tipped you off that an email was malicious.